Norton Rockler decided back in 1954 that a business for woodworking and hardware products would go a long way. He certainly wasn’t wrong, and over 60 years later, the family business has achieved huge success. It started off as a very small business, and customers were able to order their products through a catalog. However, it has now become much larger, and in 2014 its key generator of sales is Rockler.com, where users can use special Rockler coupons in order to make savings. We list all of the latest offers and deals here at Coupofy, so you are sure to find something you can use. You can even find a Rockler printable coupon if you prefer to shop in store. $21.99 Off Woodworker's Journal Magazine + Free Gift When You Subscribe. One of the reasons why Rockler has come to be so popular with its customers is because of the after-care program. The slogan, “Our commitment to you doesn’t end when the package arrives” has been known to be true by hundreds of customers, which is why the company has gained a huge amount of loyalty. Rockler trades as Rockler Companies, Inc. and is headquartered in Medina, Minnesota, United States. Ronald Hornbaker currently serves as CEO. The business is split in to two divisions, the first is their core retail outlets, known as "Rockler Woodworking and Hardware Store," which has over 20 locations across the country. The second are their "Independent Rockler Resellers" which operate a bit like franchises. Rockler doesn't own these stores, but they agree to use the company as their supplier. There are nearly 30 of these across the country. 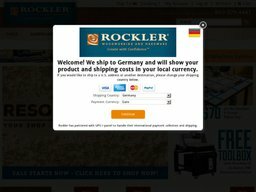 Rockler also has a thriving online store at Rockler.com which first went live in 1998 and is now a primary driver of sales. You can buy a whole range of power tools, including planers, drills and joiners. Power tool accessories, such as saw blades and router bits, can also be found in abundance. Hardware equipment, such as lighting, hinges and fasteners are also available to purchase. Other supplies are always necessary when carrying out tasks within the home, so Rockler also provides wood, ladders, adhesives and many other must-have pieces of equipment and hardware. Some of the popular brands stocked by Rockler include Blum, SawStop, Powermatic, General Finishes, Porter Cable, Kreg, Jet, DeWalt, Freud, Delta, Incra, Laguna, Fein, Bench Dog, and Rockwell. You can use a debit or credit card to place your order online. Alternatively, you can also check out the call in credit card or fax and mail order methods. Before online payment you should see a special promo box. Here you can enter your Rockler coupon code to apply the discount or deal. Rockler now ships worldwide, so to find an accurate calculation of the shipping costs to your destination add items to your basket and choose an appropriate method. Within the US shipping is charged based on the value of your order, starting at $3.99 for orders up to $15, and peaking at $19.99 for orders over $200. You can also pay extra for Priority, Express, 3 Day Select, 2nd Day Air, and Next Day Air, most of which are handled by UPS. 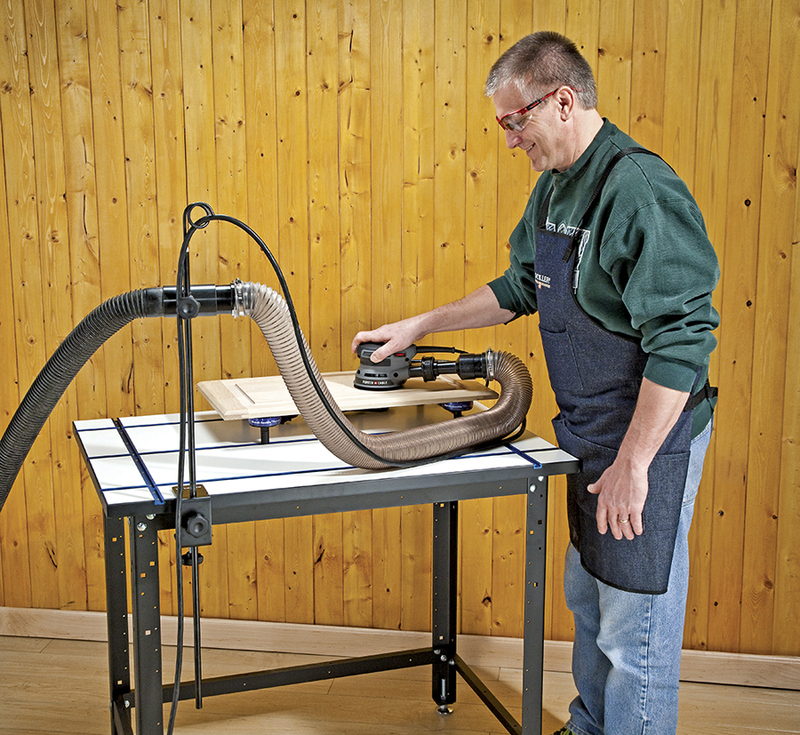 From time to time standard shipping is free when you use the appropriate Rockler coupon code. All orders come with a returns form, so if you’re not happy with your order for any reason, send it back within 90 days and get a refund.